Anihan 2007 graduate, Cherryl Nebreja-Sze is a Commis Chef 2 in Taal Vista Hotel. 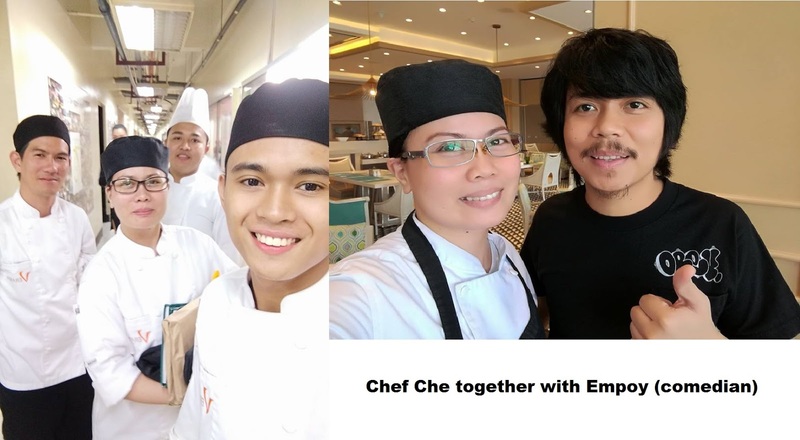 Anihan Technical School graduate, Cherryl, is a Commis Chef 2 in Taal Vista Hotel. She used to work as Former executive Chef Secretary in US Embassy. She did her On-the-Job-Training at Tagaytay Highlands International Golf Club. The venue absorbed her and she worked there for almost 4 years. Che worked in Highlands Steakhouse in SM Mall of Asia. She rendered service to Anihan School as commercial cooking instructor for 2 years. " As a cooking instructor, I shared my full knowledge and skills to those students that I know, without a doubt, will also succeed in the hospitality industry through the help and guidance of the school"
Cherryl Nebreja-Sze is a Commis Chef 2 in Taal Vista Hotel. "With my income, I am able to buy a house to be rented out to earn extra for my parents. I am able to start my own made-to-order cake shop and a small piggery. Anihan taught me to put passion in everything I do, to love what I am doing, and to look smart, think smart and act smart without degrading or hurting anybody in the process. Through Anihan, I also learned to put my best foot forward and offer it to God, to live in God's will, to never question His love for us because He will always provide. We just need to be patient"